David is described as cementing his relations with various political and national groups through marriage. King Saul initially offered David his oldest daughter Merab. David did not refuse the offer, but humbled himself in front of Saul to be considered among the King's family. Saul reneged and instead gave Merab in marriage to Adriel the Meholathite. 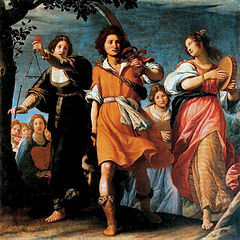 Having been told that his younger daughter Michal was in love with David, Saul gave her in marriage to David upon David's payment in Philistine foreskins. 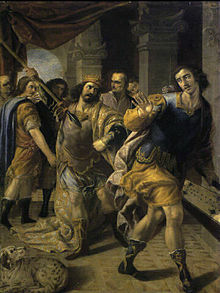 Saul became jealous of David and tried to have him killed. David escaped. Then Saul sent Michal to Galim to marry Palti, son of Laish. David then took wives in Hebron, according to 2 Samuel 3; they were Ahinoam the Yizre'elite, Abigail - the wife of Nabal the Carmelite, Maacah - the daughter of Talmay, king of Geshur, Haggith, Abital, and Eglah. Later, David wanted Michal back and Saul's son Ish-boshet delivered her to David, causing her husband (Palti) great grief. According to the Hebrew Bible, Bat Sheva, more commonly known by the anglicized name Bathsheba was the wife of Uriah the Hittite and of David, king of the United Kingdom of Israel and Judah. She is most known for the Bible story in which she was summoned by King David who had seen her bathing, Bathsheba was a daughter of Eliam, one of Davids thirty, Eliam was the son of Ahitophel, one of Davids chief advisors. Ahitophel was from Giloh, a city of Judah, and thus Bathsheba was from Davids own tribe and she was the mother of Solomon, who succeeded David as king, making her the Queen Mother. Bathsheba was the daughter of Eliam and her father is identified by some scholars with Eliam mentioned in 2 Samuel 23,34 as the son of Ahithophel, who is described as the Gilonite. Bathsheba was the wife of Uriah the Hittite, and afterward of David, by whom she gave birth to Solomon, Davids seduction of Bathsheba, told in 2 Samuel 11, is omitted in the Books of Chronicles. The story is told that David, while walking on the roof of his palace, saw Bathsheba and he immediately desired her and made her pregnant. But Uriah was unwilling to violate the ancient kingdom rule applying to warriors in active service, rather than go home to his own bed, he preferred to remain with the palace troops. David had Uriah himself carry the message led to his death. After Uriah was dead, David married the now widowed Bathsheba, Davids action was displeasing to the Lord, who accordingly sent Nathan the prophet to reprove the king. 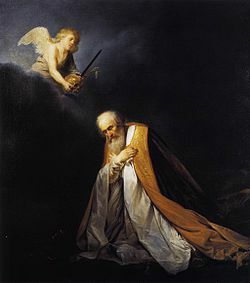 The king at once confessed his sin and expressed sincere repentance, Bathshebas first child by David was struck with a severe illness and died, unnamed, a few days after birth, which the king accepted as his punishment. 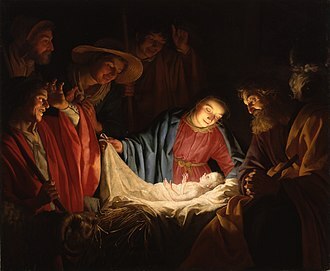 Nathan noted that Davids house would be punished in revenge of this murder, Bathsheba gave birth to Davids son Solomon. Davids punishment came to pass years one of Davids much-loved sons, Absalom. The story of Davids adultery sets up the context for the penitential Psalm 51, Bathsheba was the granddaughter of Ahithophel, Davids famous counselor. 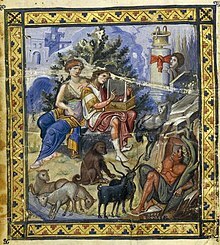 The Haggadah states that Ahithophel was misled by his knowledge of astrology into believing himself destined to become king of Israel. Jeroboam I /ˌdʒɛrəˈboʊ. 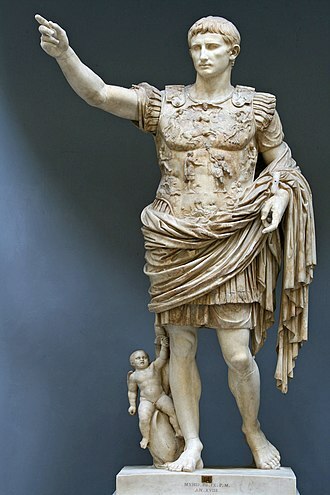 əm/ was the first king of the northern Kingdom of Israel after the revolt of the ten northern Israelite tribes against Rehoboam that put an end to the United Monarchy. 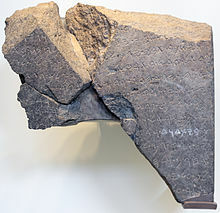 William F. Albright has dated his reign from 922 to 901 BC, the name Jeroboam יָרָבְעָם‎ is commonly held to have been derived from riyb רִיב‎ and ʿam עַם‎, signifying the people contend or he pleads the peoples cause. It is alternatively translated to mean his people are many or he increases the people, in the Septuagint he is called Hieroboam. Jeroboam was the son of Nebat, a member of the Tribe of Ephraim of Zereda and his mother, named Zeruah was a widow. He had at least two sons—Abijah and Nadab, who succeeded him on the throne, after this event he returned and participated in a delegation sent to ask the new king Rehoboam to reduce taxes. After Rehoboam rejected their petition ten of the tribes withdrew their allegiance to the house of David, only the tribes of Judah and Benjamin remaining with the new kingdom of Judah, and Rehoboam. Although criticised for his activities in I Kings 12, 25–33, calf worship was not new in Israelite ritual. Bethel and Dan were already established cultic sites, according to 1 Kings 13, 1–6, while Jeroboam was engaged in offering incense at Bethel, a man of God warned him that a son named Josiah will be born to the house of David who would destroy the altar. Attempting to arrest the prophet for his words of defiance, Jeroboams hand was dried up. At his urgent entreaty his hand was restored him again, and this man of God who warned Jeroboam has been equated with a seer named Iddo. In 1 Kings 14, Jeroboams son Abijah gets sick, ahijahs message, however, is that Abijah will die, which he does. Jeroboam was in constant war with the house of Judah, in the eighteenth year of Jeroboams reign, Rehoboams son, became king of Judah. During his short reign of three years, Abijah went to lengths to bring the Kingdom of Israel back under his control. He waged a battle against Jeroboam in the mountains of Ephraim. Rehoboam was an Israelite king mentioned in the Hebrew Bible. He was a son of Solomon and a grandson of David and his mother was Naamah the Ammonite. One of the most difficult issues in identifying Shishak with Shoshenq I is the statement that King Shishak of Egypt attacked Jerusalem. Solomons wisdom and power were not sufficient to prevent the rebellion of several of his border cities, Damascus under Rezon secured its independence of Solomon, and Jeroboam, a superintendent of works, his ambition stirred by the words of the prophet Ahijah, fled to Egypt. Thus before the death of Solomon the apparently unified kingdom of David began to disintegrate, with Damascus independent and a powerful man of Ephraim, the most prominent of the Ten Tribes, awaiting his opportunity, the future of Solomons kingdom became dubious. Conventional Bible chronology dates the start of Rehoboams reign to the mid-10th century BC and his reign is described in 1 Kings 12 and 14, 21-31 and in 2 Chronicles 10-12 In the Hebrew Bible, Rehoboam was 41 years old when he ascended the throne. The assembly for the coronation of Solomons successor, was called at Shechem, before the coronation took place the assembly requested certain reforms in the policy followed by Rehoboams father, Solomon. The reforms requested would materially reduce the royal exchequer and hence its power to continue the magnificence of Solomons court, the older men counseled Rehoboam at least to speak to the people in a civil manner. However, the new king sought the advice from the people he had grown up with, who advised the king to show no weakness to the people, and to tax them even more, which Rehoboam did. He proclaimed to the people, Whereas my father laid upon you a heavy yoke, Whereas my father chastised you with whips, so shall I chastise you with scorpions. For my littlest finger is thicker than my fathers loins, and your backs, the two sections had acted independently until David, by his victories, succeeded in uniting all the tribes, though the Ephraimitic jealousy was ever ready to develop into open revolt. According to the Hebrew Bible, the Kingdom of Israel was one of two successor states to the former United Kingdom of Israel and Judah. Historians often refer to the Kingdom of Israel as the Northern Kingdom or as the Kingdom of Samaria to differentiate it from the Southern Kingdom of Judah, the Kingdom of Israel existed roughly from 930 BCE until 720 BCE, when it was conquered by the Neo-Assyrian Empire. The major cities of the kingdom were Shechem, Tirzah, in the Hebrew Bible, the Kingdom of Israel has been referred to as the House of Joseph. It is referenced as Ephraim, the tribe whose territory housed the capital cities. 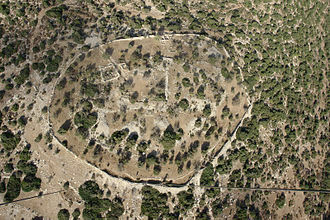 It has referred to as Israel in Samaria. According to the Hebrew Bible, the territory of the Kingdom of Israel comprised the territories of the tribes of Zebulun, Asher, Dan, Ephraim and its capital was Samaria according to the Book of Isaiah. The United Kingdom of Israel and Judah is said to have existed from about 1030 to about 930 BCE and it was a union of all the twelve Israelite tribes living in the area that presently approximates modern Israel and the Palestinian territories. 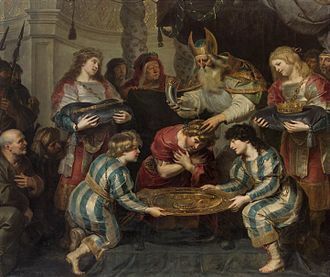 After the death of Solomon in about 931 BCE, all the Israelite tribes except for Judah and Benjamin refused to accept Rehoboam, the rebellion against Rehoboam arose after he refused to lighten the burden of taxation and services that his father had imposed on his subjects. Jeroboam, who was not of the Davidic line, was sent for from Egypt by the malcontents, the Tribe of Ephraim and all Israel raised the old cry, Every man to his tents, O Israel. Rehoboam fled to Jerusalem, and in 930 BCE, Jeroboam was proclaimed king over all Israel at Shechem, after the revolt at Shechem at first only the tribe of Judah remained loyal to the house of David. But very soon after the tribe of Benjamin joined Judah, the northern kingdom continued to be called the Kingdom of Israel or Israel, while the southern kingdom was called the kingdom of Judah. 2 Chronicles 15,9 says that members of the tribes of Ephraim, both Eusebius and Josephus place the division in 997 BCE – lunar dates of Venus can be mistaken as 64 years later. Ahab was the seventh king of Israel since Jeroboam I, the son and successor of Omri, and the husband of Jezebel of Sidon, according to the Hebrew Scriptures. Ahab is considered a king in the Hebrew Bible. He is criticised for going after his wife Jezebel, killing Naboth, the existence of Ahab is historically supported outside of the Bible. Shalmaneser III documented 853 BC that he defeated an alliance of a dozen kings in the Battle of Qarqar, Ahab became king of Israel in the thirty-eighth year of Asa, king of Judah, and reigned for twenty-two years, according to 1 Kings. William F. Albright dated his reign to 869–850 BC, while E. R. Thiele offered the dates 874–853 BC, most recently, Michael D. Coogan has dated Ahabs reign to 871–852 BC. 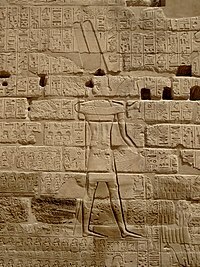 Omri seems to have been a military leader, he is reported in the text of the Moabite Mesha Stele to have oppressed Moab for many days. During Ahabs reign, which had been conquered by his father, Ahab was allied by marriage with Jehoshaphat, who was king of Judah. Only with Aram Damascus is he believed to have had strained relations, Ahab married Jezebel, the daughter of the King of Tyre. 1 Kings 16–22 tells the story of Ahab and Jezebel, and indicates that Jezebel was a dominant influence on Ahab, Ahab was succeeded by Ahaziah and Jehoram who reigned over Israel until Jehus revolt of 842 BC. Ahabs contribution was estimated at 2,000 chariots and 10,000 men, in reality, the number of chariots in Ahabs forces was probably closer to a number in the hundreds. If, the numbers are referring to allies it could possibly include forces from Tyre, Edom, a treaty was made whereby Ben-hadad restored the cities which his father had taken from Ahabs father, and trading facilities between Damascus and Samaria were granted. 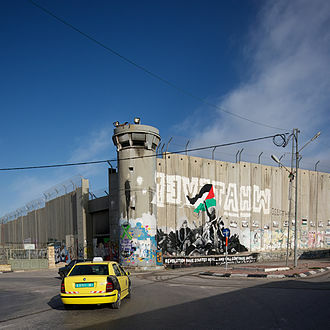 Jezreel has been identified as Ahabs fortified chariot and cavalry base, in the Biblical text, Ahab has five important encounters with prophets. The first encounter is with Elijah, whom Ahab refers to as the troubler of Israel and this encounter ends with Elijah victorious over the official Baal prophets of Israel in a contest held for the sake of the Israelites and their king, Ahab. Jehu was the tenth king of the northern Kingdom of Israel since Jeroboam I, noted for exterminating the house of Ahab at the instruction of Jehovah. He was the son of Jehoshaphat, and grandson of Nimshi and his reign lasted for 28 years. William F. Albright has dated his reign to 842–815 BCE, the principal source for the events of his reign comes from 2 Kings 9–10. 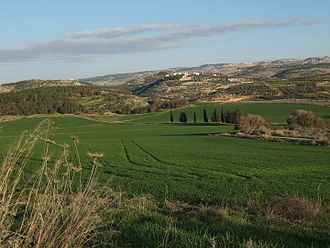 The reign of Jehus predecessor, was marked by the Battle of Ramoth-Gilead against the army of the Arameans, Jehoram was wounded and returned to Jezreel to recover. He was attended by Ahaziah, king of Judah, who was his nephew, the writer of the Book of Kings tells that when the captains of the Israelite army were assembled away from the kings eyes, the prophet Elisha sent one of his students to the gathering. Elishas student led Jehu away from the others, anointed him king in an inner chamber, Jehus companions asked where he had been. When told, they blew their trumpets and proclaimed him their king. With a chosen band, Jehu proceeded to Jezreel, king Jehoram tried to flee, but Jehu fired an arrow which pierced his heart. King Ahaziah managed to escape, but was wounded. The author of Kings tells that Jehu entered the city without resistance and he saw Jehorams mother, watching him with contempt from a palace window. Jehu commanded the palace eunuchs to throw her from the window, Jezebel was killed, and Jehu drove his chariot over her body. Her servants came to bury her, only to find that dogs had all but her hands, feet. Now master of Jezreel, Jehu wrote to command the chief men in Samaria to hunt down and they did as ordered, and the next day he found seventy heads piled in two heaps outside the city gate. Shortly afterwards, Jehu encountered the brothers of Ahaziah at Beth-eked of the shepherds and he slaughtered all of them at the pit of Beth-eked, forty-two men in total. Jehus act was allegedly to honour the God of Israel since Jehorams mother, the biblical account frequently invokes the avenging the blood of Naboth, whose vineyard Ahab, Jehorams father, had taken by force. Jehorams defeat at Ramoth-Gilead gave them an opportunity to throw off his burdensome rule, following Jehus slaughter of the Omrides, he met Jehonadab the Rechabite, who joined him in his chariot. Abigail was the wife of Nabal, she became a wife of David after Nabals death. Abigail is Davids third wife, after Sauls daughter, whom Saul married to Palti, son of Laish when David went into hiding, and Ahinoam. In 1 Samuel 25, Nabal demonstrates ingratitude towards David, and she gives him food, and speaks to him, urging him not to have on his conscience the staggering burden of needless bloodshed and reminding him that God will make him a lasting dynasty. Jon Levenson calls this an undeniable adumbration of Nathans prophecy in 2 Samuel 7, Alice Bach notes that Abigail pronounces a crucial prophecy, and the Talmud regards her as one of the Tanakhs seven female prophets. 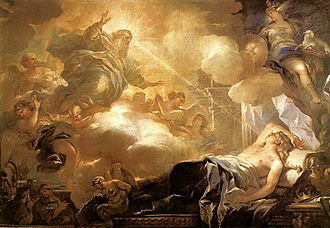 Levenson, suggests that she senses the drift of history from intelligence rather than from special revelation, after Abigail reveals to Nabal what she has done, Yahweh struck Nabal and he died, after which David married her. Abigail is described as intelligent and beautiful, the Talmud amplifies this idea, mentioning her as being one of the four women of surpassing beauty in the world. As the wife of the wealthy Nabal, she is a woman of high socioeconomic status, whether David married her because he was attracted to her, or as an astute political move, or both is unclear. Abigail and Davids third wife, Ahinoam the Jezreelite, accompany David, while David and his men were encamped near Jezreel, and when they are captured by Amalekites raided the town of Ziglak and carried off the women and children. David led the pursuit and they were subsequently rescued, both wives settle with David in Hebron, where Abigail gives birth to David’s second son, Chileab. Abigail is listed as one of the seven Jewish women prophets, the six being Miriam, Hannah, Huldah. In terms of her character, Abraham Kuyper argues that Abigails conduct indicates a most appealing character and unwavering faith. Adele Berlin contrasts the story of Abigail with that of Bathsheba, in one, the wife prevents David from murdering her foolish and greedy husband. In the second, David orders the murder of a man because he desires his wife. 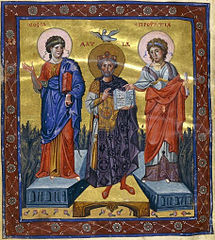 Coronation of David, as depicted in the Paris Psalter. The Tel Dan Stele with reference to the "House of David"
This table describes the Kings, their parents, age they lived, the prophets who influenced them, and the emperors they encountered in battle. 18th-century tapestry of the death of Absalom. In a scene from the Black Obelisk Jehu, designated mIa-ú-a mar mHu-um-ri-i (Jehu of the land of people of Omri) bows before Shalmaneser III. 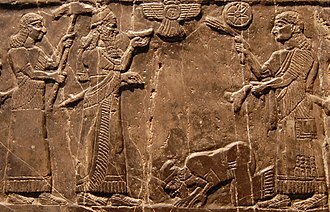 Jehu of the House of Omri bows before the Assyrian king Shalmaneser III, The Black Obelisk. Depiction of the coronation of Zimri, from Rudolf von Ems' Chronicle of the World.